So, that is the front of my parent’s house. I’m staying here for a week because they’re in the bahamas (right? poor them!). 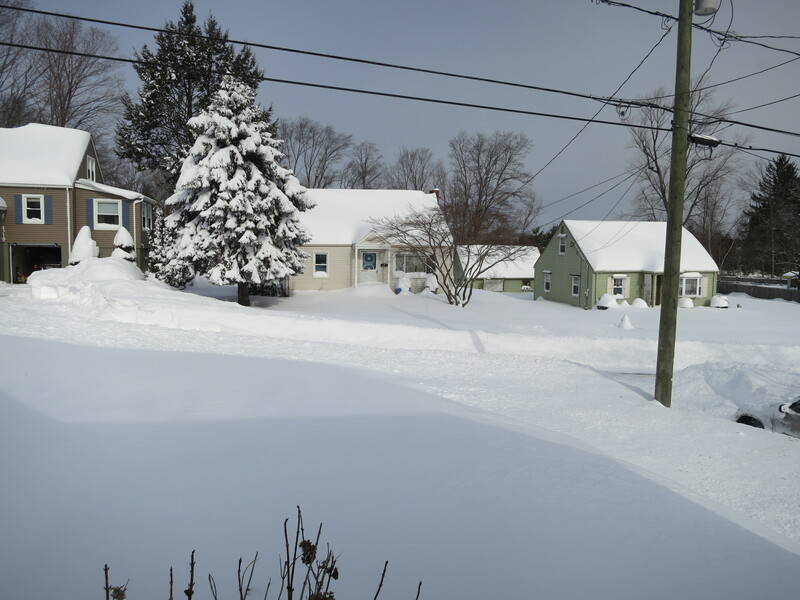 We got probably three feet of snow. I couldn’t see my dad’s car. Well, I still can’t. I sent my brother and sister out to shovel. I’m the best big sister! 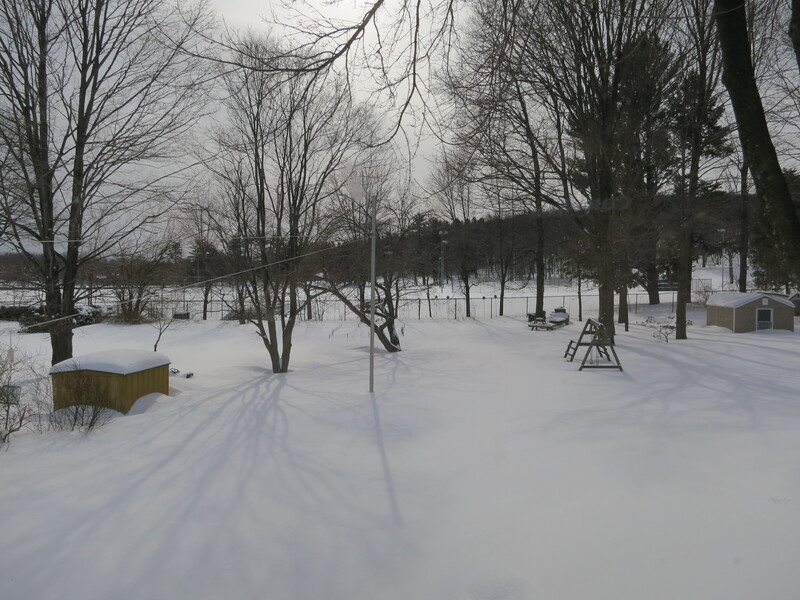 We’re supposed to have a friend come and plow but he hasn’t come yet soooo we’ll see what happens. I hate shoveling so so so much so I really hope he comes soon! I did get to go home early yesterday. I left at three and I was happy I did because it wasn’t easy getting home even two hours early! 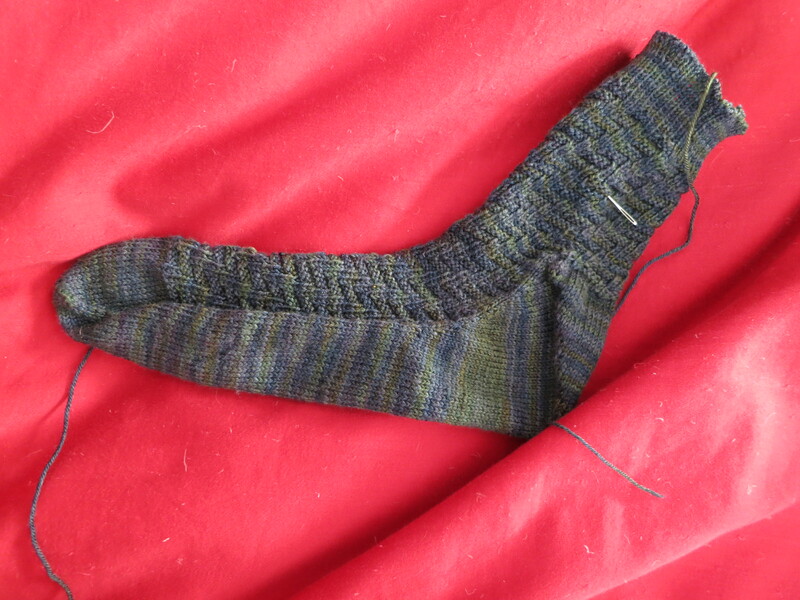 I did finish this sock this morning – it’s for my cousin in California who has very, very large feet. I’m hoping to get a lot more of it done this weekend. I have today off (I’m normally working right now! ), and I’m watching movies. Maybe I’ll sew later! Everyone if you see what I see out the window, only go out to shovel!! !